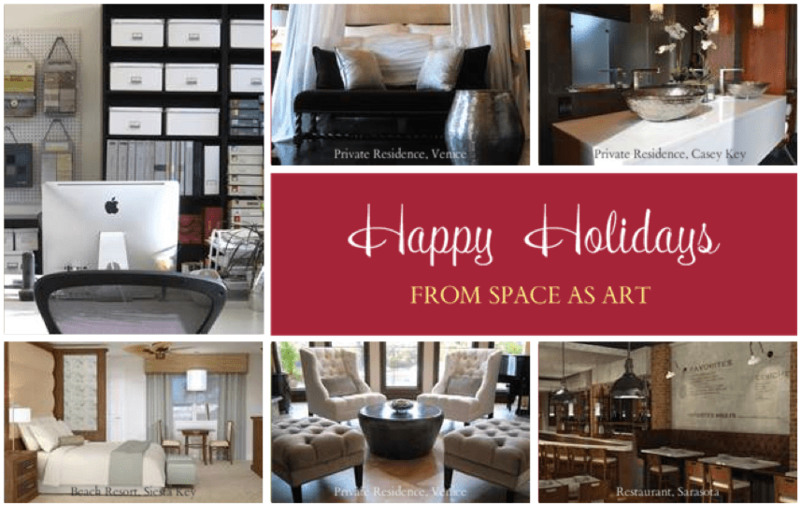 2012 has been a busy, exciting year at Space as Art. We grew into our new studio space where we worked on a variety of hospitality, commercial, and private residential projects as a team for some great clients. As the year comes to a close we are thankful for all the blessings of 2012 and look forward to embarking on new design adventures in 2013! We wish everyone a very happy holiday season and a prosperous 2013!